06/09/2011 - Adria's tarmac is still rubbered from the thrilling fifth round of the season held in this circuit last weekend but the Italian Formula 3 Championship's protagonists were on track today in Vallelunga for the collective testing day in sight of the sixth round of the series scheduled for next 18 September. The fastest lap of the day was set by Edoardo Liberati in 1´30.948 that tasted again the flavour of the top position that he missed since Imola's round. 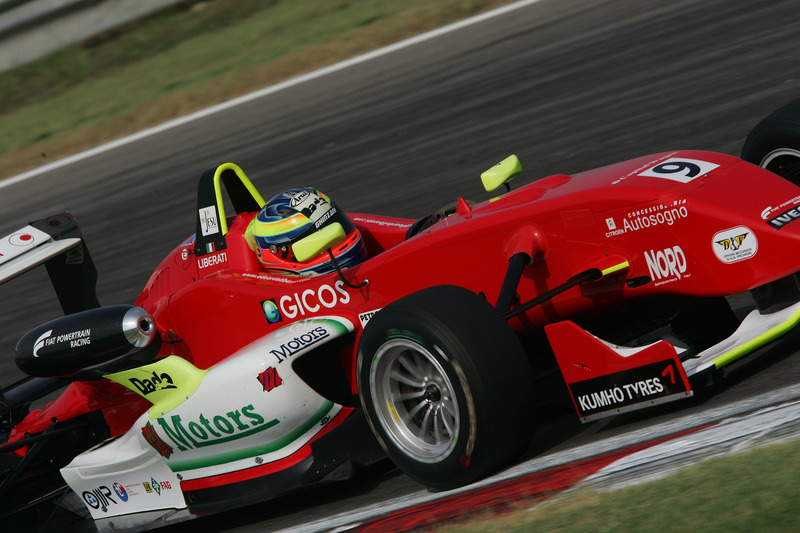 The Italian driving for Team Ghinzani sought this result with great determination and topped the charts towards the end of the session after constantly being on the same pace of the leader of that moment, Michael Lewis. The Californian driving for Prema Powerteam was motivated to score a prompt counter-charge after the shining performance of Spa and the darkness of Adria's round and ended the test just 92 thousands shy of the leader. Lewis is followed by the Argentine Facu Regalia (Team Ghinzani) for just a thousand of a second while Eddie Cheever (Lucidi Motors) was fourth by just a tenth. The two other cars lined up by Lucidi Motors follow within three hundreds of a second, namely that of the Brazilian Victor Guerin and the one driven by Kevin Giovesi as well as the car driven by Simone Iaquinta (JD Motorsport) that was author of a very good seventh time less than three tenths slower than Liberati's time. The top ten was closed by the two BVM-Target drivers, the French Maxime Jousse and the Italian Sergio Campana, the Swiss Raffaele Marciello (Prema Powerteam); the times standing is completed by the French Brandon Maisano (BVM-Target), less than six tenths from the fastest time, the Italian Andrea Roda (Prema Powerteam) at +0.905 and Federico Vecchi (LineRace-CO2 Motorsport) at + 1.276.